Xbox 360 title Star Ocean 4 is only a few days away from release. 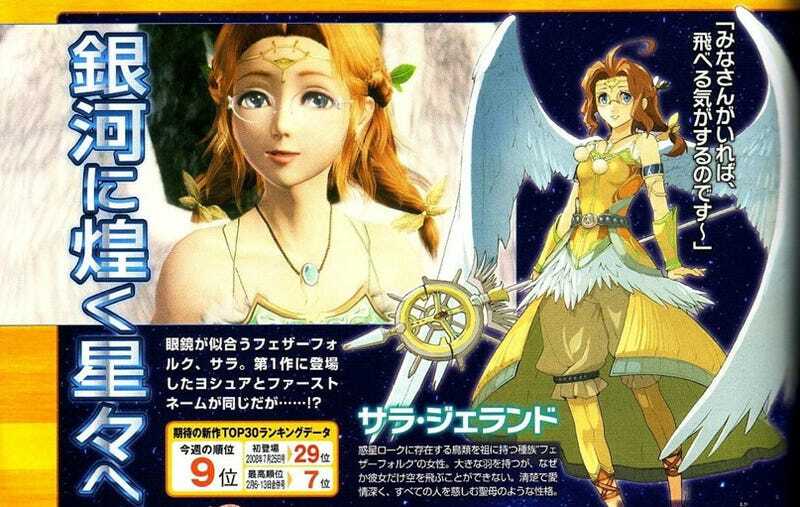 Perfect timing for some new Star Ocean 4 and a new character — the bird lady! And she wears glasses. Sarah Jeland (literally, "Sara Jerando" in Japanese katakana — not sure about the English romanization) hails from the in-game planet of Roak is a Virgin Mary type character with wings. She can't fly, though. At least she's got fancy spectacles! Click through the gallery below to check out Star Ocean 4's various planets.